At 80 years old, Mr. Roberts was admitted to a psychiatric hospital that focuses on long-term stays following a brief stay in the emergency room. His admission was preceded by at least two years of symptoms that distressed him and also his wife of 61 years. In 2010, he was diagnosed with Parkinson’s disease (PD), though it did not initially impact his quality of life. He was a retired chief of police at a local hospital, and retained enough mobility to join his wife on errands around their small town. However, in 2014, both Mr. and Mrs. Roberts found themselves often arguing because he’d claim to see things that no one else could perceive. His wife could not convince him that his beliefs were not true. Specifically, Mr. Roberts began to see a strange family of four in his home, and while he didn’t recognize the strangers, he disliked the “father figure.” Feeling vigilant, Mr. Roberts would stay up all night watching them. Further, Mr. Roberts was adamant that an army, dressed all in red, was forming next door and planning their attack. While Mrs. Roberts found these claims bewildering and frustrating, they weren’t hurtful until Mr. Roberts also accused her of adultery. He even raised the possibility that they might divorce. 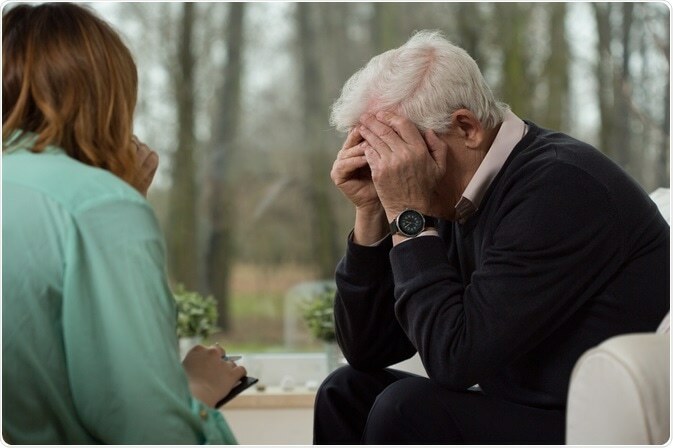 This suggestion, combined with his visions and other paranoid thoughts, convinced Mrs. Roberts that her husband was in dire need of help that she could no longer provide, and she considered placing him in long term/post-acute care (LT/PAC). Hallucinations and delusions associated with PD, like those experienced by Mr. Roberts, make up what is known as Parkinson’s disease psychosis. As described by two institutes that are part of the National Institutes of Health, the National Institute of Neurologic Disorders and Stroke and the National Institute of Mental Health, Parkinson’s disease psychosis may be diagnosed when a person has a pre-existing diagnosis of PD and has the experience of hallucination or delusion for at least 30 days. A diagnosis should only be made if other criteria can be ruled out, such as the presence of delirium, schizophrenia, depression, or Alzheimer’s disease psychosis. 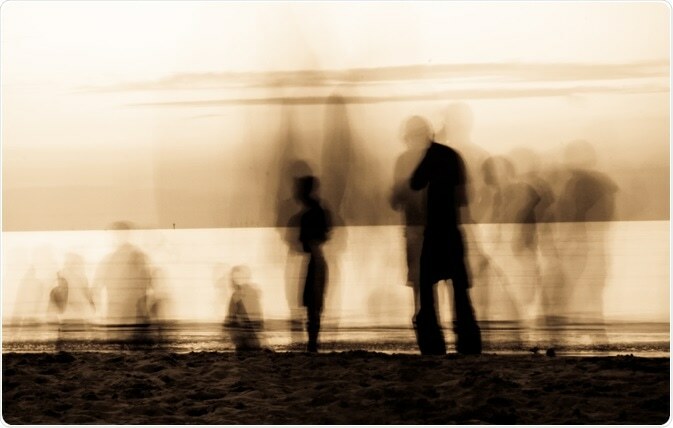 While many PD patients and their families are aware that the disease is characterized by motor symptoms, such as rigidity, tremors, and impaired gait, non-motor symptoms, such as hallucinations or delusions, may catch them by surprise. Most do not know that more than half of people with PD will develop these types of symptoms over the course of the disease. In addition, the onset of symptoms is frequently under-reported, either because the patient or family did not know to tell their PD specialist about these symptoms (because motor symptoms are the focus of appointments) or due to embarrassment. However, it is vital that hallucinations and delusions be reported. According a study published in the Journal of the American Geriatric Society, they make up one of the leading risk factors for placing a patient with PD into a nursing center or other LT/PAC center. A patient with PD who also suffers from hallucinations is 2.5 times more likely to be admitted into a nursing center, and once placed there, is likely to remain there permanently. Hallucinations and delusions associated with PD often present with common themes across the patient population. Hallucinations are often visual and may include seeing children or small animals unexpectedly. Sometimes the patient may also mistake one object for another (an illusion) or see something flit out of the corner of an eye. They “know” something is there but can’t quite see it or hear it. Delusions tend to be paranoid. For example, it is common for patients to fear that their loved ones are committing fraud or adultery. It is also common for a patient to be completely lucid, except that he or she makes unverifiable claims about what they might be seeing or believing. In LT/PAC settings, individuals with PD may develop these symptoms. While spouses and extended family may be supportive of the resident, care professionals will have the additional responsibility of monitoring their patients for the onset of such symptoms. In PD, there is a need to balance the treatment of motor symptoms while addressing non-motor symptoms like hallucinations and delusions. Prior to the recent U.S. Food and Drug Administration (FDA) approval of an novel antipsychotic drug for the treatment of PD, clinicians had very few tools to treat the associated hallucinations and delusions. First, providers often try to adjust or reduce Parkinson’s medications. According to the Parkinson’s Foundation, there is some evidence that medications can contribute to the onset of symptoms. Trying an atypical antipsychotic “off-label” is another approach. While these medications may help with psychosis in certain patients, they are also associated with side effects such as worsening of motor symptoms, sedation, constipation, and falls, which are particularly problematic in an older patient population, according to research published in Brain and Behavior. Reassurance and cognitive behavioral therapy are helpful in selected patients. A new class of atypical antipsychotics, called selective serotonin inverse agonists, have started to be used in PD treatment. These preferentially target 5-HT2A receptors, which are thought to play an important role in Parkinson’s disease psychosis, according to research from the Journal of the American Medical Association Neurology. By targeting serotonin instead of dopamine, these drugs do not further impair motor function in a person with PD. Clinicians have an important role to play in monitoring for hallucinations and delusions. While these symptoms may seem mild when they first occur (particularly if patients retain insight), this aspect of PD can seriously impact families as the frequency and intensity of symptoms increase and the patient becomes more agitated. LT/PAC professionals should be proactive in describing that Parkinson’s disease is characterized by both motor and non-motor symptoms. It is also important for doctors to ask questions during visits that would elicit symptom reporting. With the ability to diagnose this aspect of Parkinson’s disease earlier, before it becomes too burdensome, care professionals may be better positioned to manage the condition. Clinicians have a role in helping people with Parkinson’s and their loved ones recognize and report non-motor symptoms, such as hallucinations and delusions. Have you seen, heard, or sensed things (for example, people, animals, or objects) that others tell you are not actually there (hallucinations)? Do you have beliefs or fears that a loved one is stealing from you or being unfaithful (delusions)? Do you have concerns that people around you are conspiring against you? Do you ever feel like you are out of touch with reality? How so? Have you ever observed your loved one interacting with things, seeing things, or sensing things that are not there (hallucinations)? What did they describe? Has your loved one ever expressed a belief you know to be untrue? Can they be convinced or do they have insight as to what is real? If your loved one is seeing or believing things that are not true, have these experiences impacted your relationship? How so? Dr. Amita Patel is a Geriatric Psychiatrist in a private practice since 1991. She is currently a director of Geriatric Psychiatry Inpatient unit at Haven Behavioral Senior Care Hospital in Dayton, Ohio and Wilson Memorial Hospital in Sidney, Ohio. She was a Clinical Associate Professor, Department of Psychiatry at Wright State University, Boonshoft School of Medicine from July, 1991 to September, 2014. She also served as a Director of Clerkship for the period of 5 years and was involved in Psychiatry Resident Education. She has received several teaching awards which include “Wright State Department of Medicine Faculty Recognition Award” in June 1992, “American Psychiatric Association, and Nancy A. Roeske, M.D. Certificate of Recognition for Excellence in Medical Student Education” in May, 1995 and “Wright State University Academy of Medicine, Professional Excellence Award in April 2005. She is a graduate of T. N. Medical College in Mumbai, India. She received her training in Psychiatry from University of Cincinnati and was a chief resident during her final year. Dr. Patel has been involved in the Geriatric Psychiatry Education for the Community and has presented on topics such as Care Giver Burden, Dementia Care, and Late Life Depression. 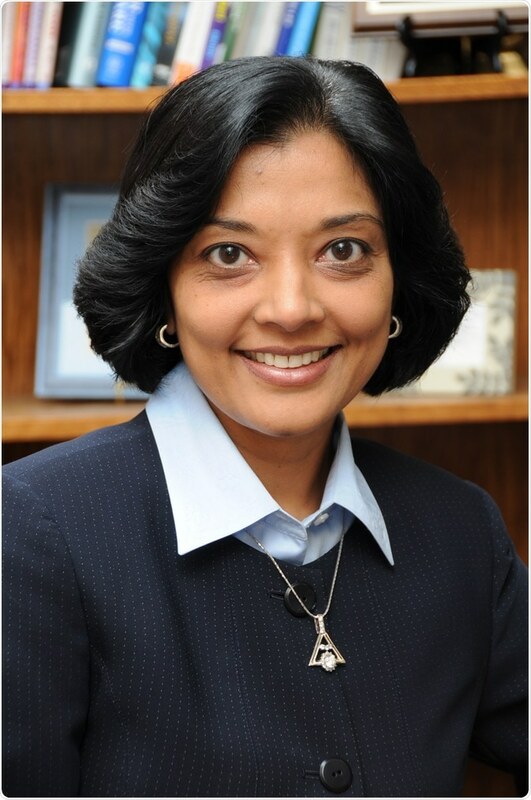 She was a recipient of American Association for Geriatric Psychiatry, “Clinician of the Year Award” in 2005.She is a distinguish fellow of the American Psychiatric Association since 2003.She is also a certified Medical Director at the Society for Post – Acute &Long Term Care Medicine (AMDA) since Jan 2000. Dr. Patel has also been an active board member of the American Association for Geriatric Psychiatry and has served as The Secretary and Treasurer for the year 2014-15. Dr. Patel has published articles in Psychiatric Times, McKnight’s Long Term Care News and Medscape. Posted on May 3, 2018 by Asad Abid. This entry was posted in parkinson's disease. Bookmark the permalink.